The song, originally written by rockabilly legend Ersel Hickey and covered by the likes of The Beach Boys and Richie Valens, is given a modern update on this recording: with fat bass and grinding guitars giving the song plenty of edge. As has been the case with many of his recent releases, Plant has included plenty of violin playing, giving the song an ancient, Celtic vibe that seems detached from its rockabilly origins. The visual accompaniment to the track features an array of stunning images using traditional hand drawn animation techniques in addition to the latest in editing technology. The video invokes old childhood picture books from the early 20th century as it follows two people riding large birds through a shifting series of landscapes. Carry Fire will be released on Friday, October 13th via Nonesuch records and it is the first album of new music from Plant since 2014’s Lullaby and the Ceaseless Roar. In addition, Plant has announced a string of North American tour dates for early 2018, which will again see him performing with his backing band, the Sensational Space Shifters. 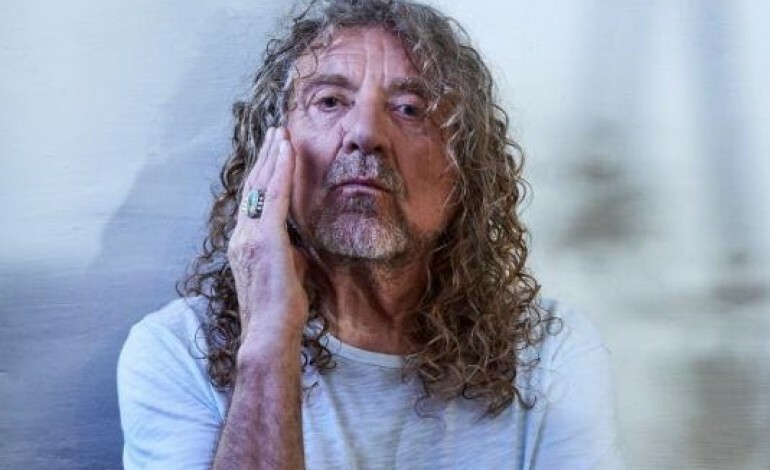 While there always seems to be a constant stream of talk of Plant reuniting with Led Zeppelin, the singer has repeatedly shot down any rumors, adamantly stating that the legendary rock group will never play together again, no matter how much money is offered to them. With Plant now resuming his solo career it would appear he stands by these statements. Led Zeppelin las performed a decade ago at the Ahmet Ertegun Tribute Concert, with that performance eventually being released as the Grammy winning live set Celebration Day in 2012. You can watch the video for “Bluebirds Over the Mountain” in the player below.